We understand that your pets are part of your family. That's why at Ultimate Canine Care, we are passionate about the animals in our care as well as the peace of mind of their owners. 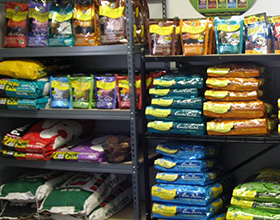 We pride ourselves on offering quality service and treating every dog, cat, and exotic animal like it was our own. If your pet has special needs, just let us know. We'll make special accommodations for them so that they will feel comfortable at our location. 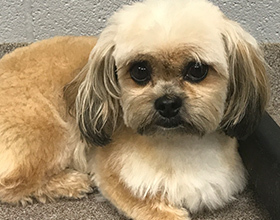 We are a family-owned business that has offered pet services — including boarding, grooming, and training — throughout the local region for over a decade. Over the years, we have boarded and groomed pets from many different states in the country, always ensuring they have a pleasant stay. In 2003, we built a state-of-the-art facility, which sits on 10 spacious acres of land. We welcome all types of pets and breeds and even have a separate room for cats, to ensure their safety during their stay. Our friendly animal care experts are always open to giving owners and their pets a tour of our facility. Give us a call or send us an email to arrange a visit. We look forward to seeing you soon! Ultimate Canine Care is the culmination of many years of hard work, passion and education in the dog and pet world. Our business is a direct reflection of who we are and what we do. 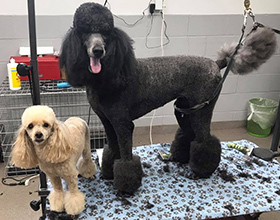 We offer a wide variety of services in boarding, grooming, training, and care; and are constantly trying to upgrade our facility and investing back in our business. Our owner and operator, Mike Zimmerman, is a lifelong resident of North Carolina and has enjoyed working with animals since he was in high school. He purchased his first show dog in 1978, an Akita Champion, Frerose's Nikima of Kim Sai. Since that time, he has excelled in dog breeding and training and has had over 27 dogs win championship titles in both obedience and conformation. Mike served as an officer of the Alamance Kennel Club for many years and has served on the Steering Committee Board for Alamance Community College for the past eight. This role allows him to assist in the review of their Animal Care & Management Technology course to help determine the future direction of the course curriculum. He is also a member of the Humane Society of Alamance County. Monday, Tuesday, Thursday, Friday: 8:00 a.m. - 6:00 p.m.
Wednesday: 8:00 a.m. - 1:00 p.m.
Sunday: 3:00 p.m. - 5:00 p.m.